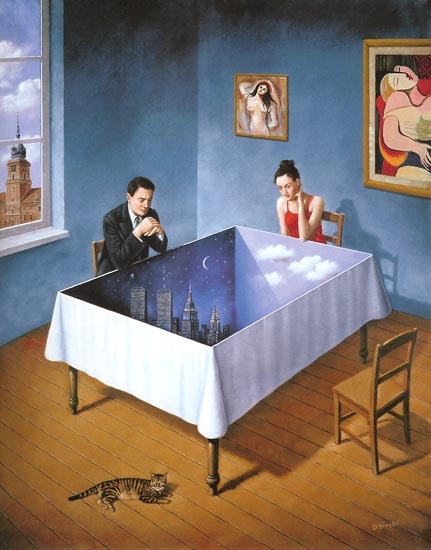 A beautiful painting by Rafal Olbinski. I think I constantly share other people's works because mine are for me. Maybe I don't feel like sharing of myself today outside of what I can find of myself in other people. Maybe that's all I am.